In March last year, UK Prime Minister David Cameron stood on the assembly line at the Vauxhall car plant in Ellesmere Port near Liverpool and warned that the factory was exactly the kind of success story that could be killed off by a vote to leave the European Union. Less than 12 months on, Cameron is out of a job, his successor Theresa May is preparing a complete split from the EU and Vauxhall's future is uncertain as owner General Motors mulls the sale of its unprofitable European arm to France's PSA Group -- a move that may have been triggered by the Brexit vote. With German politicians already lobbying to protect jobs at Vauxhall's sister brand Opel and PSA, part-owned by the French state, unlikely to favor cuts at its plants, a post-sale savings push would inevitably put the UK business under pressure even without the EU schism. The consequences of a so-called "hard Brexit" may leave it even more vulnerable. At stake is a near 115-year-old business that ranks as the UK's No. 2 car brand with 10 percent of the market and employs 4,500 people, as well as supporting 17,000 jobs in its supply chain and 20,000 at sales outlets. May's government has already taken steps to assure Nissan Motor, owner of the UK's biggest vehicle factory, of its commitment to supporting auto-making, and could face a tougher task in winning over PSA should a deal go ahead -- though former business secretary Vince Cable warned that piecemeal deals should be avoided. "Opel has a huge problem with its plants not being fully utilized," said Thomas Goettle, head of automotive at PA Consulting in Frankfurt. "They are probably hammering out a deal that's in favor of Germany and France, so I don't see the brightest future for the UK." Either Ellesmere Port or Vauxhall's second plant at Luton, north of London, could close, he said. While the Astra model built at Ellesmere Port, which has almost 2,000 workers, has been one of the UK's best-sellers for 3 1/2 decades, 85 percent of the site's annual output of about 120,000 autos goes for export to mainland Europe. Those cars could face sales taxes equal to 10 percent of their price on entering the EU if May favors immigration controls over landing a comprehensive trade deal and commerce with Europe is subject to World Trade Organization tariffs. At the same time, only 25 percent of the Astra’s components are sourced in Britain. In a scenario where WTO rules were in place, remaining parts would most likely incur charges averaging 4.5 percent each time they crossed the EU border, something that can happen several times over in the manufacture of complex automotive assemblies such as transmissions and engines. Ellesmere Port may be particularly at risk when the current Astra comes up for replacement in 2021, analysts at LMC Automotive said in a note, adding that the model could be consolidated with the next Peugeot 308 platform. For the Vivaro medium-sized van, made at the Luton plant, which employs 1,500 people, the figures are almost as stark, with 66 percent of the 73,000 units built in 2016 going for export and 60 percent of the vehicle's parts made outside the UK Complicating matters, the model is produced as part of a joint venture with Renault. Brexit has already cost GM $300 million following the pound’s slump in the wake of the June 23 vote, with Vauxhall paying more for parts sourced abroad and Opel gaining less revenue from the export to Britain of more than 200,000 autos built on the continent when translated into euros. Customers also shied away from purchases when prices were raised to help compensate for the currency changes. That in turn pushed the unit to a $257 million loss, when it would otherwise have posted the first profit since the late 1990s. 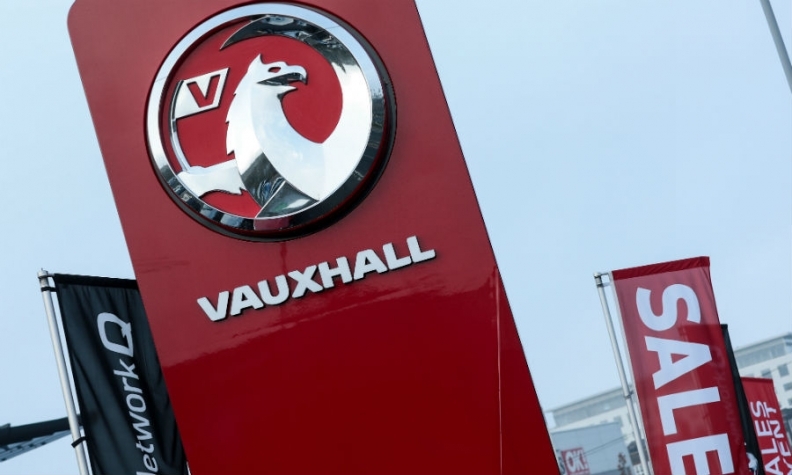 Retaining Vauxhall in the event of an Opel takeover would also give PSA five brands, including the French company's Citroen unit and its DS premium marque, each with its own marketing, advertising and administrative costs. PSA has made autos in the UK in the past, acquiring the Talbot division from Chrysler in 1978 before abolishing the brand in favor of producing own-name cars, and eventually exiting production completely in 2006 with the loss of 2,300 jobs at the Coventry plant. Most concerning for Vauxhall workers may be the production overlap on the Astra. While Ellesmere Port makes the hatchback and sports tourer variants, the model is also assembled at Opel’s Gliwice factory in Poland. Auto labor costs average 25.83 euros an hour per employee in the UK versus 9 euros in the East European country, according to the VDA German industry association. Still, Germany itself, where Opel has major plants at its Russelsheim base near Frankfurt and Eisenach in the east has costs that are far higher at 52.53 euros an hour, and last time Vauxhall faced off against its sister business it was Ellesmere Port that survived and a plant at Bochum in the Ruhr that GM closed. Even Spain, where the automaker builds cars in Zaragoza, is only marginally cheaper than Britain, at 25.71 euros an hour, the VDA says. France, where PSA has five main factories, ranks second-most expensive at 41.02 euros. Also counting in Vauxhall's favor may be the positives of having production in a sterling economy as a hedge against variations in the value of the euro. In that respect, Peugeot could benefit from having a UK presence, Dominic O’Brien, an autos analyst at Exane BNP Paribas told Bloomberg. It's also possible that Ellesmere Port could realign its production to more directly serve the UK market and avoid the bulk of the tariff burden. PSA and GM are discussing numerous strategic initiatives, including a possible Opel deal, the companies said after Bloomberg reported the talks Tuesday. The U.S. manufacturer is seeking a multi-billion-dollar amount for Opel and Vauxhall, according to a person familiar with the matter. Ex-business secretary Cable, a Liberal Democrat who served in Conservative Cameron’s coalition government, said May should resist getting drawn into a succession of settlements and needs to address fundamental concerns about Britain leaving the EU customs union. "This isn’t something you can deal with by buying them off one by one," he said in an interview, adding that all UK carmakers are vulnerable to Brexit "to a varying degree" because of their reliance on importing parts and exporting finished cars, suggesting Jaguar Land Rover is least exposed because of the strength of its sales to the U.S. and other non-European markets. Len McCluskey, general secretary of Unite, Britain's leading trade union, told Bloomberg Television that Vauxhall was too vital a part of the UK's manufacturing base to become a victim of the Brexit fallout and international consolidation, calling on May to provide similar assurances to those offered regarding Nissan's mammoth Sunderland site, and to engage with General Motors and counter the influence of the French and German governments. While it's not clear if the Brexit vote pushed GM to seek a European withdrawal it last considered after the financial crash before opting to keep Opel in 2009, many companies are unsure about the future, McCluskey said. At the same time, firms must not use the poll "as an excuse to attack our jobs," he added. UK car production hit a 17-year high in 2016, surging 8.5 percent to 1.7 million autos, making the country Europe's No. 3 manufacturer, according to the Society for Motor Manufacturers and Traders industry group. Exports reached a record, with more almost 80 of percent of vehicles shipped overseas. Britain is also the region's second-biggest auto market. "Automotive has been the shining light in a pretty bleak period over the past eight or 10 years," McCluskey said. "We've got no intentions of allowing a single job loss as a result of anything that might happen in the discussions between GM and Peugeot."